Based on a series of presentations and handouts developed by our team this resources covers the essentials of working with the 6 p’s: performers, place, product, promotions, people and payments. Coupled with some essential templates for recruiting and giving feedback to your team this manual, developed by our team, provides value way beyond pages of the document. 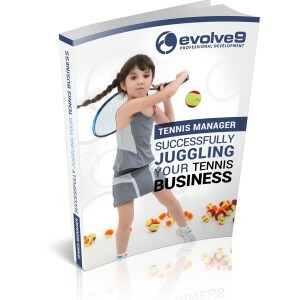 As the role of the coach in under 10 tennis continues to grow and develop, more and more we are being asked to handle elements that relate to running a successful tennis business. Coping or Coaching? Large group coaching!